After a night out with the Prodive crew, I had a restful night’s sleep back at my hostel ready for a long day of travelling. 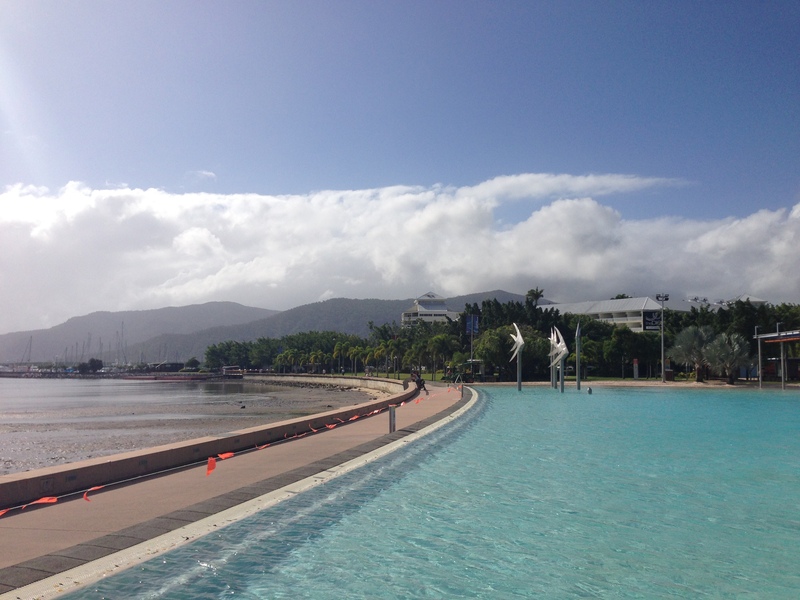 My last morning in Cairns, I spent down at the waterfront exploring the boardwalk and shops. 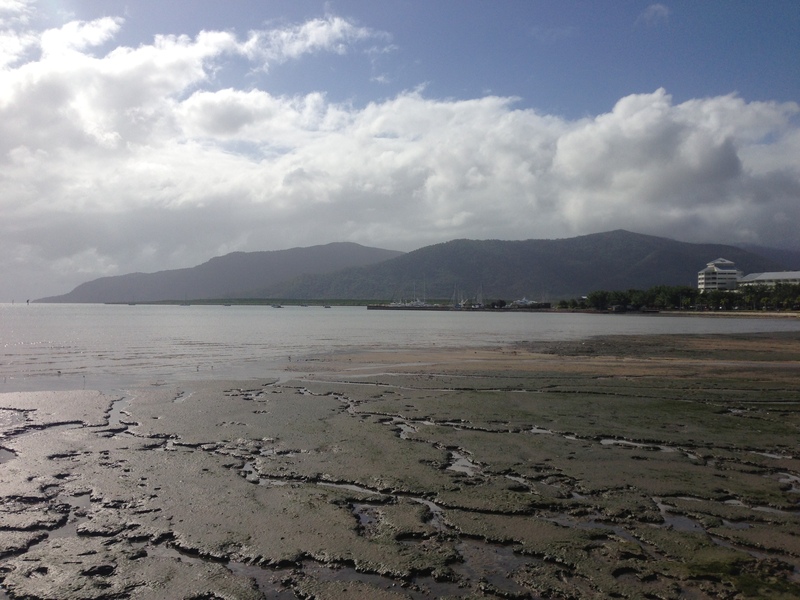 Cairns is weird in that it doesn’t have an actual beach as such. It has a swampy thing that doesn’t really make you think of tropical swimming and sunbaking on the sand. Instead there is a beautiful man-made ‘beach’ pool right next to the beach. It is open to the public for swimming. Generally for those that do want the golden beaches and warm topical waters for snorkelling, you have to actually travel out of Cairns. There are HEAPS of day trip tours out to Green Island or other gorgeous places which makes it incredibly easy for tourists to get their beach-fix. I was finding the transition back to shoes difficult after being completely shoeless for the three days I was on a boat out at sea, so I wandered around for a few hours in bare feet. I went and checked out the neat fruit bats that populate certain trees within Cairns. A bus driver told me a neat trick was to honk your horn as driving past which would scare the bats into ‘decorating’ all the cars parked beneath the trees. These car parks were the only free parking in the whole city centre. This bus driver also said that of course he had NEVER done that ;) Then I headed back to my hostel to relax in a hammock with a cup of lemony black tea until my airport ride appeared. By lunchtime I was at the airport waiting in what felt like the hugest check-in queue ever, only to find out that due to massive fog in Sydney, I was being delayed! Unfortunately this meant I completely missed my Sydney to New Zealand flight. Luckily I had booked both flights through the same airline company which is always a wise thing to do. In the fine print for the majority of airline companies, there is usually a small promise that as long as all connecting flights are within the same airline, then said airline will get you to your final destination. Three hours later after sitting in the amazingly comfortable Qantas lounge with free food, drinks, and wifi (huge thank you to my airport ride Dave who invited me in as his guest), I was on a plane to Brisbane. One night in a fancy hotel later (everything paid for by my airline – Virgin), then I was finally on a plane heading to Wellington in the Land of the Long White Cloud. One thing I have to say is that during this process, I heard a few people bad-mouthing Virgin and swearing that they would never fly with them again. This was my first experience being delayed, but I found Virgin to be really lovely and helpful. The delays were annoying, and did cut into my New Zealand time making me lose a day. But the fog in Sydney certainly was not the fault of the airline. 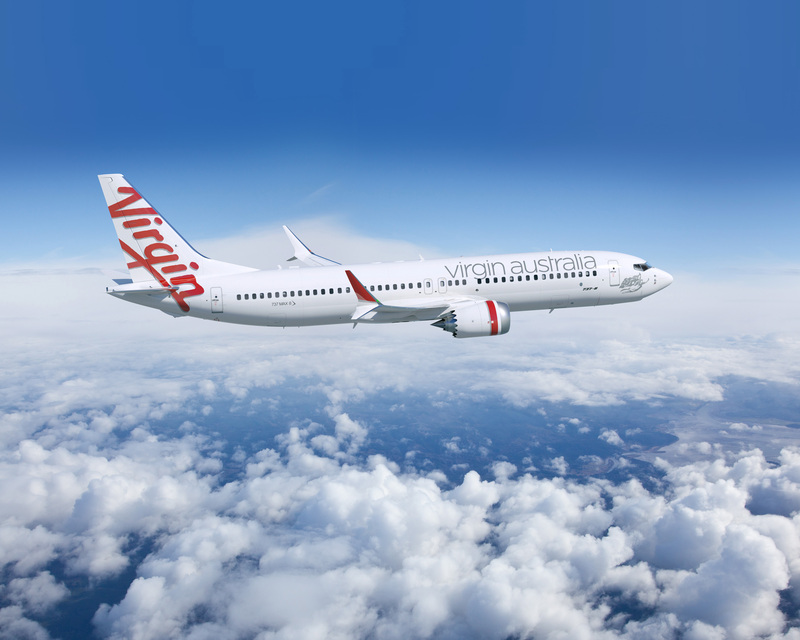 Virgin is one of the budget airlines in Australia, but I found them pretty good. The staff are genuinely friendly and helpful. I was given free food to the total worth of over $100AU, transport between the airport and hotel was provided, and the flash hotel was a massive step-up from the hostel type accommodation I had gotten used to. The worst part was probably the bit when I was sitting in Brisbane airport waiting for the Virgin shuttle feeling very very tired.. There were quite a few passengers that had been diverted to Brisbane also on various flights, so I had to wait a couple of hours for the last few to arrive before jumping in a shuttle with them. Flying into Wellington was probably one of the most beautiful sights I’ve ever seen on a plane. A warm happy sensation of coming home filled me. Throughout the whole landing, bag collection and customs process, I had a huge smile on my face. The next 32 hours went quite quickly. I stayed at the YHA hostel in Wellington centre (I found the walls very thin so I would advise bringing earplugs if you want a quiet nights sleep) and had an AMAZING dinner at a place called Sweet Mother’s Kitchen which I think you should definitely check out. The food is Southern American / Mexican style and delic. My snickers flavoured milkshake was mind-blowing. I met up with my cousin Stephanie and her cute family for coffee in the morning before catching a ride over to Masterton with Uncle Richard (thank you very much again). Masterton is a small town where I grew up. The majority of my extended family live there so I was really excited about popping over the hill from Wellington to see everyone. I stayed the night with my Grandma and Aunt Jayne, and had far too many cups of tea with them as well as my other Grandma and aunties and uncles. I had a great time which made me really wish I had stayed longer! The next day I returned back to Wellington, caught up with another couple of great friends who I hadn’t seen in years. Just to spread the word about my friend Lotte, she makes unique jewellery in a strangely beautiful dark way. You can have a look at her website and be tempted into buying things here. 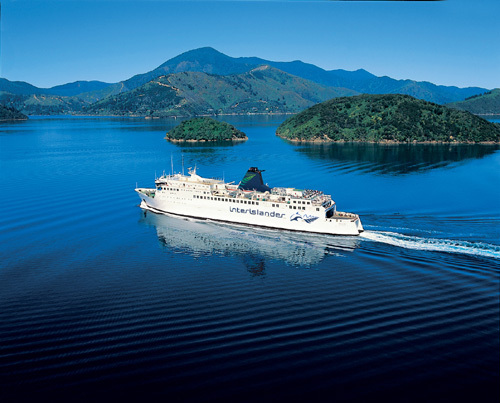 After a yumo Drexels brunch with Lotte and Andy, I jumped onto a ferry back to home – Blenheim. I took some seasickness medication for the ferry and completely slept for the whole three hour ferry ride missing out on gorgeous Marlborough Sounds. On arrival at the Picton ferry terminal, I saw my most favourite person in the whole world waiting for me – my mum. 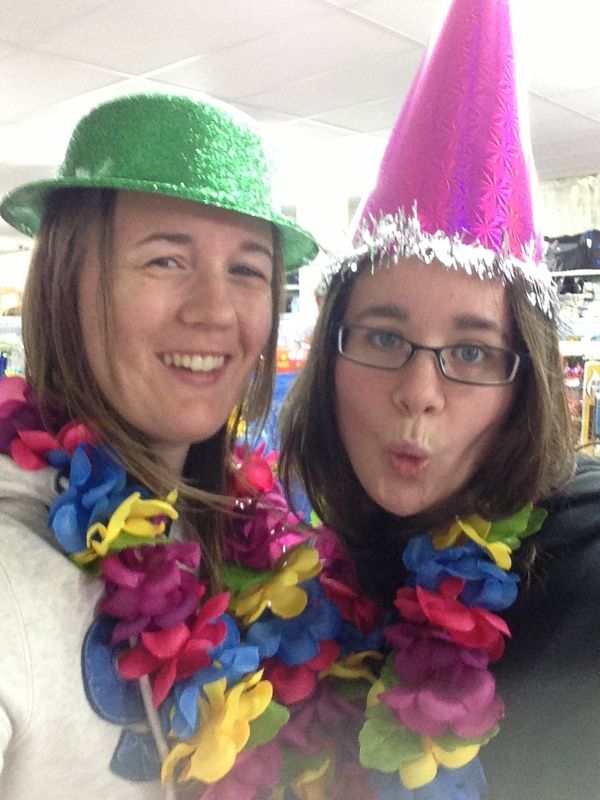 As I write this post, I only have 18 hours left until I leave New Zealand behind me. A lot of nervous butterflies in my stomach, a tightly packed backpack on my bed, and a disturbingly large pile of things next to my bed that didn’t fit in my backpack. A little bit of apprehensive excitement alongside unease that I am making the wrong choice, that I’ll have a terrible time, or miss out on the important things that continue to happen to my family and friends while I am on the other side of the world. But also deep down, a feeling that this is the right thing to do as terrifying as the first step is into the unknown. I am sure that tomorrow that I will be wiping a few tears away as I hug my parents for the last time and head onto the plane. But here’s hoping that my flights won’t be delayed tomorrow. 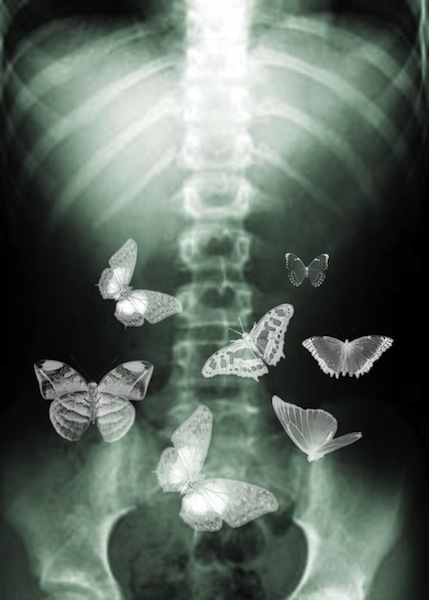 That won’t help the butterflies to settle down. EEK today is the day! Can’t believe it’s time to finally go. Feeling a bit nervous and hoping I haven’t made a huge mistake. In a few hours I’ll be gone.. Flying off in a plane to Melbourne then Kalgoorlie. Then the outback adventure begins with a triage course in Kalgoorlie..